Founded in 2010, Uplift Humanity has sent more than 500 volunteers from the US to perform various training and educational programs in India. Uplift Humanity and Zee TV are organizing the event SHAKTI in New York City on April 14 at Manhattan’s Distilled Lounge to celebrate the organization’s success in providing education to 1,000 children in India. 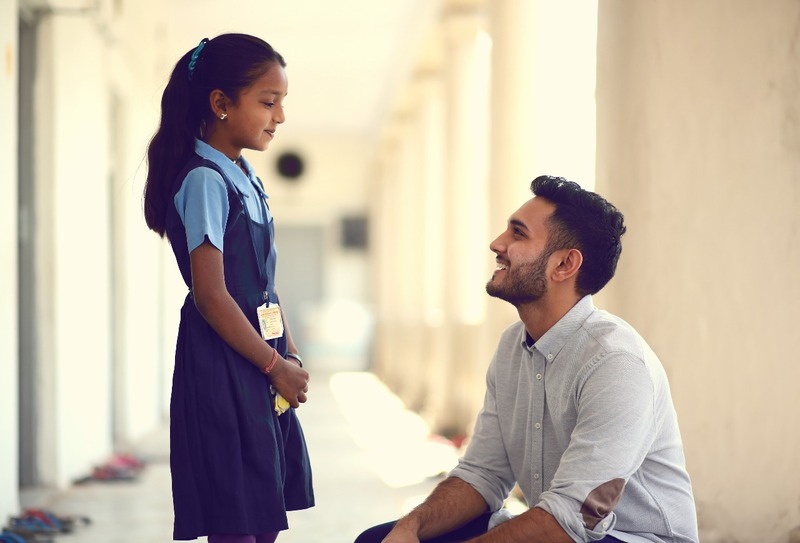 The New York-based non-profit that works to eradicate educational inequalities in India through various programs, has contributed over 250,000 hours of volunteer work in the country. With training programs in four Indian cities: Gujarat, Hyderabad, Mumbai, and Delhi, the group boasts itself of being one of the youngest teams in the non-profit arena with the average age of an employee being just 26. Founder and CEO of Uplift Humanity Anish Patel with a student. Credit: Uplift Humanity. Founded in 2010, the organization has sent more than 500 volunteers from the US till date to perform various training and educational programs in India. These volunteers, mostly teenagers, work in three programs, Summer Program, Academic Program and Health and Wellness Program. The group focuses on providing skills, for instance, behavioral, employment and language, to juveniles and orphans to enable them to become good citizens and productive workforce. “In fact, just within 5 months of us implementing our Academic Program curriculum, we’re seeing results: students are now actually starting to speak English,” Patel added. Volunteering students, who are enrolled in a high school or a college, apply for a program through an elaborate application process detailing the dates, location, and activities. The selected applicants then plan their traveling from the US to India, either through Uplift Humanity or independently. Transportation within India, food, and housing are then provided by the organization at a cost. The upcoming event is being co-hosted by Zee TV. The attendees will be served food and drinks. Tickets for the event can be purchased here.